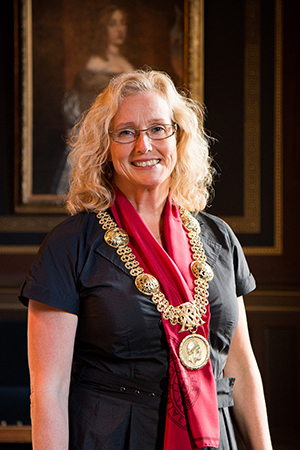 Uppsala University’s Vice-Chancellor Eva Åkesson will be awarded H.M. The King’s Medal of the 12th size with the ribbon of the Order of the Seraphim for “exemplary work in Swedish higher education”. Professor Svedjedal at Uppsala University’s Department of Literature is awarded H.M. The King’s Medal of the 8th size, with the ribbon of the Order of the Seraphim. H.M. The King’s medal from the early 1800s is awarded for exceptional merits and to leading figures at the Royal Court for long and faithful service. The medals will be awarded at a ceremony at Drottningholm Palace on 12 June.